Tick Wise Education Hosts Art Hike For Tick Bite Awareness In Riverhead On Sunday, June 24, Tick Wise Education will host its first Art Hike for Tick Bite Awareness, sponsored by East End Tick & Mosquito Control®. April Nill-Boitano, the president of Tick Wise Education, is passionate about increasing children’s awareness of ticks. She travels across the East End to schools to teach kids about how to spot ticks and how to be safe. It’s High Time for Ticks, Which Are Spreading Diseases Farther Brian of East End Tick and Mosquito Control® was featured in the New York Times! Learn more about how tick species are spreading ever farther than ever before. School District to Spray Fiske Field for Ticks Shelter Island school district has decided to use our Tick Guard spray to protect students in the district from ticks and Lyme Disease. Experts Fear This Tick Season Could Be A Bad One Ticks have recently been especially prevalent on the east end, but learn how to protect yourself during 2017, what could be the worst summer yet. 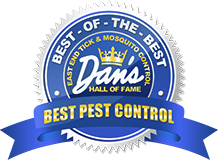 Brian Kelly Of East End Tick & Mosquito Control®: Nothing Bugs This Entrepreneur For Long Hamptons.com did a great article on Brian, and how he and East End Tick Control® got started. Tick Tips from Brian Kelly (Skip to Page 113 for Brian’s article) Brian offers a few tips to keep ticks off of you and your loved ones. Local Expert Weighs In On How To Prepare For Tick Season In this Hamptons.com article, Brian offers some advice to residents of the Hamptons in order to prepare them for the upcoming tick season. 2016 Annual Tick Report: Tick-Borne Disease Research Center The Tick Borne Disease Center had another productive year informing people about the dangers of tick borne illnesses. Find out more about it by viewing the article here. Contrary to popular opinion, the end of summer is not the end of tick season. Fall is actually prime time for the crawling critters, which means that even though summer is over, the danger of contracting Lyme is still as strong. Get some fall tick prevention tips here. Southampton resident Brian Kelly, owner of East End Tick & Mosquito Control®, has donated $25,000 to Southampton Hospital’s Tick-Borne Disease Resource Center. Suffolk County Legislator Jay Schneiderman has appointed Brian Kelly of East End Tick and Mosquito Control® in Southampton to the County’s Tick Advisory Committee. It would be nice if all the ticks would disappear at the end of the month of May, which also happens to be Lyme Disease Awareness Month, but that is not going to happen. Learn more about the war on bugs. Meet Deerdra – Our New Mascot! Meet Deerdra the deer tick, East End Tick & Mosquito Control®’s new mascot. She’ll be spotted all over the East End reminding people that ticks really are everywhere and helping us to spread awareness about the dangers of tick-borne diseases. It seems the unusually cold winter didn’t hurt the tick population one bit. CBS 2’s Carolyn Gusoff has more. 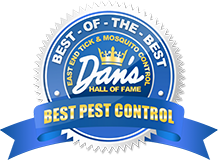 East End Tick and Mosquito® has been serving the East End community for 16 years, and with each progressive year, business has gotten better. This is not good news for the community, of course, because it means the tick problem in particular has gotten much worse. But when Brian Kelly started the business on his own, ticks were already the talk of the town. Vacationers may leave by Labor Day, but ticks stick around our parks and woods much longer. In fact, we are getting into peak season for when tick bites are the most dangerous. The Tick Borne Disease Center had an exciting year in 2015! Some accomplishments include hosting symposiums for medical professionals, and distributing tick kits to East End Residents. Find out more by reading their annual report. Summer on the East End means many things, but unfortunately, not all of them good. To that end, the Tick-Borne Disease Alliance (TBDA), Southampton Hospital and East End Tick & Mosquito Control® have partnered to fight tick-borne diseases. What despises sunlight and garlic and feasts on meals of blood? The ghoulish and ubiquitous tick, and Brian Kelly of East End Tick Control®, which has been in business for 15 years, is the area’s own personal Van Helsing. East End Tick & Mosquite Control® has partnered with The Free Ride — an environmentally friendly shuttle service that uses GEM vehicles — in order to get you where you need to go in the Hamptons this summer.